C is for carnival. For three days in February, all of Brazil takes to the streets to celebrate. 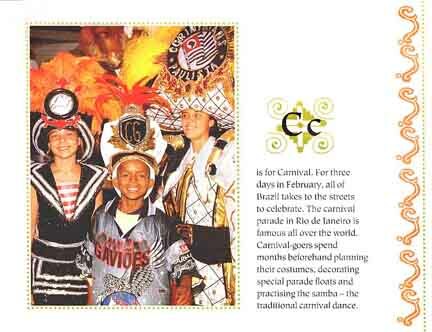 The carnival parade in Rio de Janeiro is famous all over the world. Carnival-goers spend months beforehand planning their costumes, decorating special parade floats and practising the samba - the traditional carnival dance.